I'm up on the Honey Bee Stamps blog today sharing this ocean mermaid themed card. Please stop by over there for all the details. Thanks and have a mermazing day!! Hello crafty friends! I'm sure by now you've heard that the July release for Hello Bluebird is available for purchase. I'm sharing two cards today featuring my favorite set from this release - Bee Happy. The second I saw these absolutely adorable bees, I was in love. This set is just packed with cute images and some fabulous punny bee sentiments. For this first card I created a dandelion cluster for that joyful little bee to lounge on. I used the Grassy Knoll dies for the grass border. I made a stencil using the cloud dies from that set to ink blend on some puffy clouds. This scene didn't require the full width of the card so I trimmed this panel much narrower than the A2 card base. This gave me room to tie some bakers twine to the left side as a decorative element. I finished the card off by adding just a few sequins scattered around the scene. For this next card I used the strawberry plant as the focal point with a bee hovering just over it. I highlighted this little vignette with a die cut circle against a green gingham background stamped using the Country Gingham stamp. Just for a little bit of interest, I added some sequins and Nuvo Crystal Drops. These images are so adorable and really don't require much else to make a very eye catching card. I highly recommend adding this set to your stamp collection if you are a bee lover! Good news! The Hello Bluebird summer release is available now!! Hurry over to the Hello Bluebird shop for a closer look at all the new stamp sets and dies. Today I'm sharing a card I made using one of the new stamp sets called Otter Friends. I've colored my otters, fish, and cattails with Copic markers. For my otters I used E41, E42, E43, and E44. I thought this combo was a good basic brown for them. I've created a fun pond like scene for my otters to hang out. I used a simple ink smooching technique to fill the entire background panel with color. I used one of the cloud dies (upside down to form waves) from the Grassy Knoll stand alone die set to cut this panel into 3 sections. I also cut some vellum with the same die. Then I layered all the pieces alternating vellum and inked card stock. This allowed me to tuck the otters slightly behind the waves. I stamped one of the sentiments from the Otter Friends set onto the vellum using black Stazon ink. Lastly I added some dots of Nuvo Crystal drops to mimic water droplets. They are hard to see in these photos but in real life they add a nice bit of detail and texture. I hope you will check the newest and oh so cute release from Hello Bluebird! 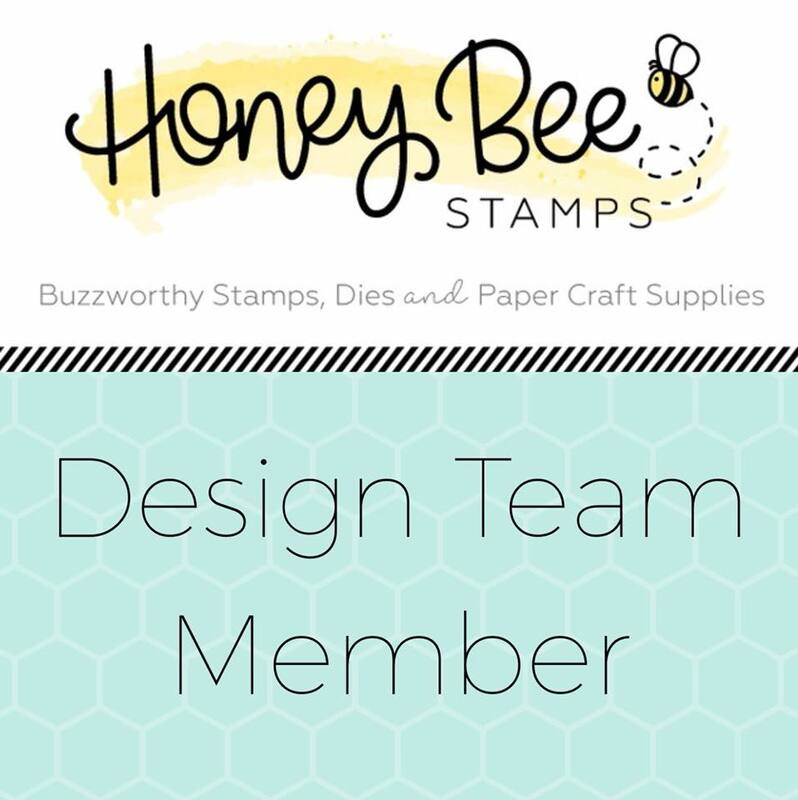 HONEY BEE STAMPS - Have You Heard the Buzz? Hi there Honey Bee friends! Today is my debut over on the Honey Bee Stamps blog. YAY!! Please head of there to learn more about this special card I made to celebrate the occasion. Hi Everyone! Happy July!! I was lucky to have a chance to play with the newest Spellbinders Card Kit. Check out the July 2018 Card Kit here. 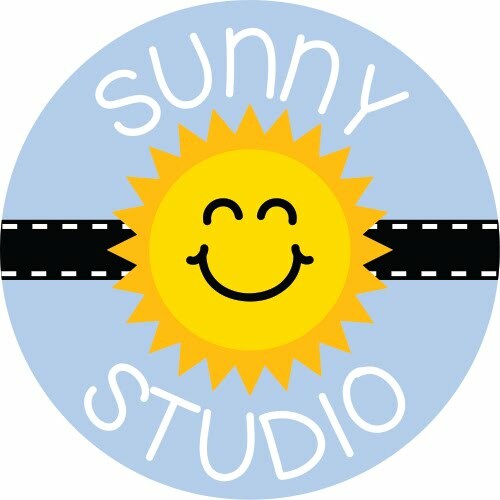 It's like summer in a box.... lots of fun pattern papers, brightly colored card stock, summer themed embellishments, and of course some absolutely fantastic dies to make your own custom die cuts. I made 3 cards with matching gift totes and one bonus card made from using some of the card stock scraps. I still have quite a bit leftover to make even more later on. These little totes are perfectly sized to hold a gift card. I made them from the envelopes included in the kit. They are so easy to make - seal the envelope closed, score at 3/8" on 3 sides, trim off the unscored side which will be the top, and open to form the gussets on each side of the tote. You'll need to apply just a little adhesive to the bottom corners of the tote to keep it's shape. I then used some of the pattern paper to cover the front and back of the tote. I punched holes towards the top and added some ribbon handles - the ribbon is also included in the kit. And then the fun part... embellish the tote with die cuts and stickers. I really had fun playing with all the different papers and stickers and die cuts in this kit. I just love the die that cuts out the little pair of sunglasses. I made the dark lenses by using some black ink and the actual die as a stencil. Then I added on some Glossy Accents for an even more realistic look. There's a really unique label die in the kit that is a great basic die but you can also really have fun with it. On the Ice Cream card I layered up the labels for a decorative backdrop for the ice cream die cut and sentiment sticker. To create the fun background for this card I just cut strips of pattern paper and adhered slightly spaced apart vertically. Then added a piece of gold card stock across the entire width of the card as a grounding strip for my embellishment cluster. This bonus card I made by taking advantage of some scraps leftover from the previous cards. The tiny flip flops are so super cute and I just wanted to make them in all the colors. I even made a striped version by adhering lots of little strips of card stock together and then die cutting the flip flops from that. So fun don't you think? There are so many possibilities with this kit. It's packed with everything you need right out of the box to get started on making some fabulous summer themed projects.